ESSES Productions is the joint effort and end product of the longstanding creative partnership between Samantha Samuels and Steven Shore. The celebrated performance career of “SAM” combined with Shore’s writing and producing are at the core of today’s endeavors. 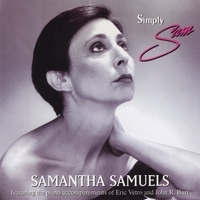 With countless “SAM” concerts, recordings, and events throughout the country – and internationally – to its credits, the current efforts have centered into ESSES’ Home Base of the San Francisco Bay Area, and most particularly Contra Costa County. Having spread its wings in recent years to incorporate larger theatrical productions, the personal and corporate goals are aimed toward keeping the theatrical arts vital and relevant while also promoting community involvement by raising awareness and funding for its local heroes and charities. Click the images below for more information and to purchase! 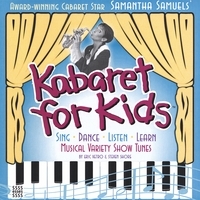 Internationally acclaimed Cabaret Star Samantha Samuels brings her distinctive voice, talent and humor to the world of children's music with this recorded version of her original live show. Featuring Disney Channel's 16 year -old SOPHIE ODA, from THE SUITE LIFE OF ZACH & CODY. One of the country's few true Cabaret Stars brings her trademark humor, pathos, and lyrical storytelling from the live stage to this intimate and distinctive recording featuring piano accompaniment by Eric Vetro and John R. Burr, and songs by Steven Shore.